With nearly 7,000 peer-reviewed studies published on its medicinal properties and countless benefits for the body, turmeric may be the most powerful spice on the planet! Turmeric is a perennial plant and a member of the ginger family. This pungent, bitter herb can be ground into a standalone spice or combined into other spices like curry powder. In fact, it’s turmeric that gives curry spice it’s bold, yellow color. 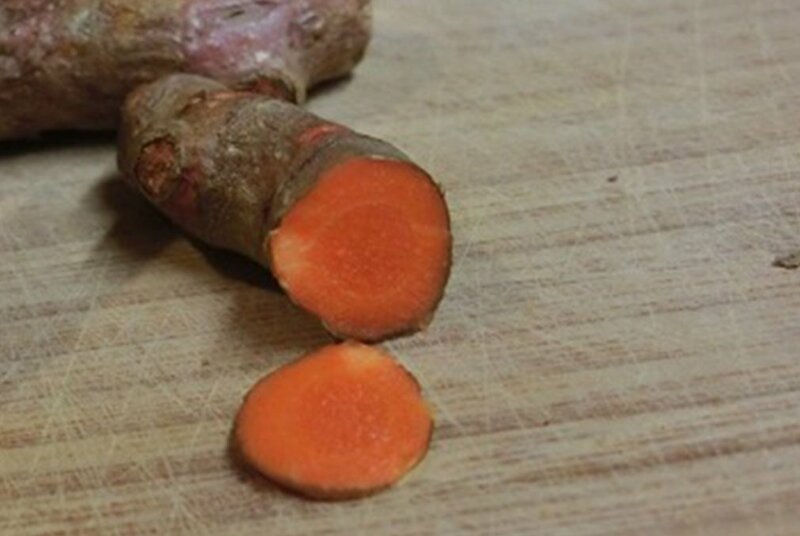 Turmeric has been used in ancient Asian and Indian medicines to treat inflammation and other conditions. Curcumin is the main active ingredient in turmeric, and it’s this chemical that gives turmeric it’s strong, anti-oxidant and anti-inflammatory properties. Some inflammation is fine, as it helps the body fight pathogens, but chronic, long-term inflammation plays a major role in the development of diseases like cancer, heart disease, and metabolic syndrome. Any additional help you can give your body, like adding spices like turmeric to your diet, is important! Powerful levels of antioxidants: The antioxidants in turmeric have been proven to fight oxidative damage caused by free radicals. Oxidative damage is one of the major causes of premature aging and many chronic diseases. Cancer prevention: There are more than 700 citations noting curcumin’s role in cancer prevention. Preliminary studies suggest that turmeric can lower the risk of prostate, breast, colon and lung cancer. Laboratory studies have shown that turmeric, or curcumin, the active ingredient in turmeric, can even kill certain cancer cells. Detoxifier: Countless studies have examined turmeric’s ability to aid in body detoxification. Recent clinical trials have shown that turmeric can detoxify the liver and protect it from the toxic effects of heavy metals like arsenic, lead, and mercury. Lowers Cholesterol: Turmeric not only detoxifies the liver, but it also increases the number of LDL receptors in the liver, which aids in the breakdown of LDL cholesterol. If you have high cholesterol, this is important for your cardiovascular health, given LDL cholesterol is the unhealthy type of cholesterol that’s responsible for clogging and thickening of the arteries. Antiviral, antibacterial and antimicrobial: There is strong evidence supporting curcumin’s natural, non-toxic ability to kill viruses. Curcumin supercharges the immune system and heals wounds by clearing chronic inflammation and enhancing the body’s absorption of good, quality nutrients. Arthritis: Some studies have found that turmeric reduces joint inflammation and has other anti-arthritic benefits. Alzheimer’s: There is evidence that turmeric may prevent and treat Alzheimer’s disease. One neurological study has uncovered evidence showing that turmeric may suppress amyloid deposits, or brain plaque that leads to the formation of Alzheimer’s disease. Digestive Health: Turmeric has been shown to enhance the gallbladder’s ability to produce bile, thus aiding in digestion. This colorful spice may also help an upset stomach and reduce bloating and gas. Recent studies have shown that turmeric might alleviate ulcerative colitis symptoms too! Now, here are just a few words of caution. The FDA does NOT regulate dietary supplements the same way it regulates food and OTC and prescription medications, so not all supplements are created equal. According to the National Institutes of Health, turmeric consumption may slow platelet activity, so if you are taking an anticoagulant, consult with your doctor before adding turmeric to your diet. Additionally, if you’re prone to kidney stones, you should always consult your physician before taking any supplements along with your medication. According to the American Cancer Society, there is no standard recommended dose for turmeric, though one-teaspoon of turmeric a day is a common dosage. Add turmeric to milk (any type you drink) or to tea. Mix in a teaspoon with applesauce. Add to rice, quinoa, or sweet potatoes. Add to chicken, tofu, or curry dishes.